©2016 General Conference of Seventh-day Adventists®. All rights reserved. No part of the Adult Sabbath School Bible Study Guide (Standard Edition) may be edited, altered, modified, adapted, translated, reproduced or published by any person or entity without prior written authorization from the General Conference of Seventh-day Adventists®. The division offices of the General Conference of Seventh-day Adventists® are authorized to arrange for translation of the Adult Sabbath School Bible Study Guide, under specific guidelines. Copyright of such translations and their publication shall remain with the General Conference. Seventh-day Adventist, Adventist and the flame logo are registered trademarks of the General Conference of Seventh-day Adventists® and may not be used without prior authorization from the General Conference. ESV. The Holy Bible, English Standard Version, copyright © 2001 by Crossway Bibles, a division of Good News Publishers. Used by Permission. All rights reserved. NASB. From the New American Standard Bible, copyright by © the Lockman Foundation, 1960, 1962, 1963, 1968, 1971, 1972, 1973, 1975, 1977, 1995. Used by permission. NET. New English Translation. 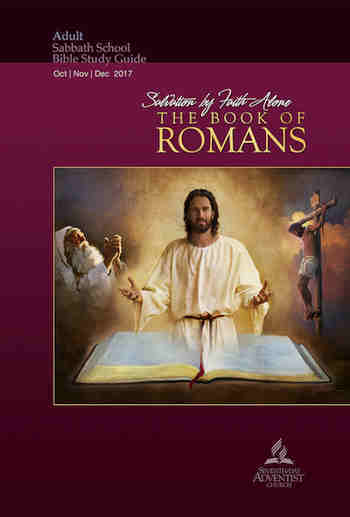 Quotations designated NET are from the NET Bible® copyright © 1996-2006 by Biblical Studies Press, L.L.C., www.bible.org . All rights reserved.